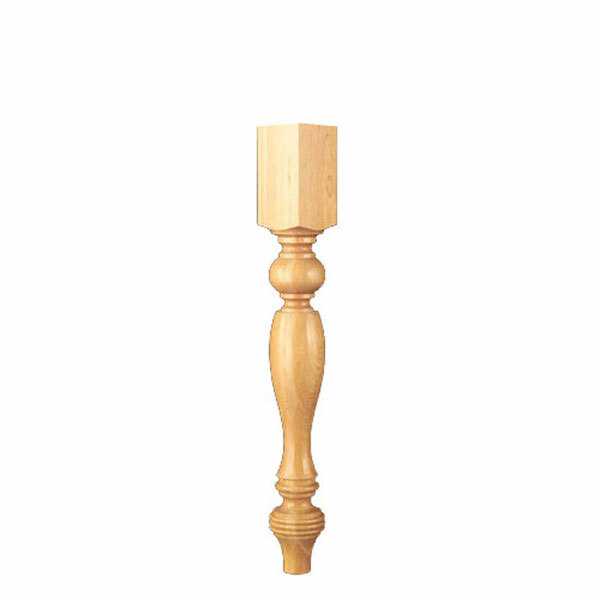 Decorative wood columns can add sophistication or charm to any interior design. Produced with precision workmanship, our collection includes round, square, tapered, weaved, roped and fluted island and bar height wood columns as well as wood table legs and furniture legs, all in a range of styles: Roman Classic, Queen Anne, Arts & Crafts, English Country and more. Can support or adorn a center kitchen island, countertop, peninsula, bar, and more. Cabinet columns & legs can be used in a a variety of different applications. Commonly used as kitchen island columns, these columns are manufactured with quality and intelligent design. We use only the highest quality in materials which assures you get the job done right the first time.